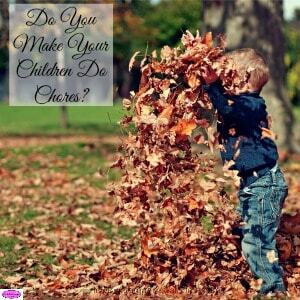 I have thought about the debate whether you should make children do chores. It is one area where many people have firm beliefs they are either all for the idea or totally against it. Yet, I have always been split, I have never really pushed chores on any of my kids but that doesn’t mean that it is right. Since they are now older I do wonder if I have restricted their growth into adulthood by having to learn how to do these chores themselves as they left home. [Read more…] about Do You Make Your Children Do Chores?